Because right now, it is. Of course that’s not really true. Rookie Chris Heston has pitched marvelously in two starts, taking over for Matt “Greg Oden” Cain. Unfortunately Heston only has one win to show for it since the Giants can’t seem to score any runs. In the home opener they left the bases loaded in the first two innings, and had 10 men LOB through five. Scoring runs has seemed to be a problem for this team for several years, but winning three world championships in five years has allowed the problem to be somewhat ignored. At some point it will turn out to be a huge problem and it won’t matter what the pitching does. It’s kind of like weight gain. A pound or two every now and again doesn’t seem like much until you look at a picture from five years ago and find out that you’re 50 pounds heavier, and that’s a problem. Errr, so I’ve heard. April just seems like a month for the Giants to survive and not get too far out of contention. 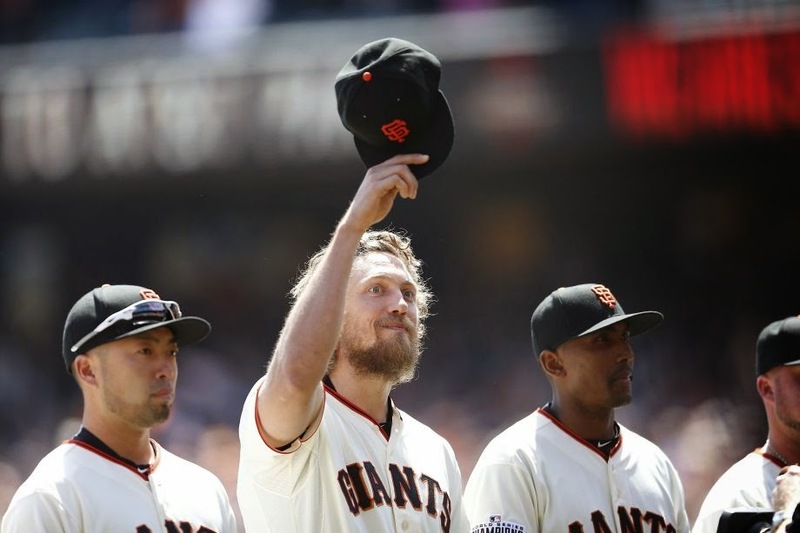 It’s also not good to say “When Hunter Pence gets back everything will be fine,” because Pence can’t make Cain’s dead right arm come back and keep Tim Lincecum’s head on straight and ensure that Tim Hudson doesn’t break down and that Brandon Belt and Casey McGehee don’t succumb to freak injuries. Other than that, he can pretty much do anything. 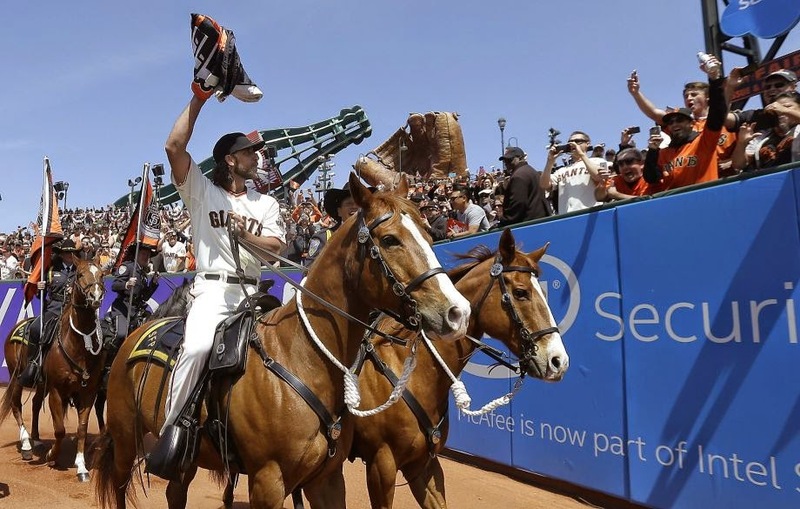 And step one is making sure that Madison Bumgarner on a horse isn’t number one on the season highlight reel.